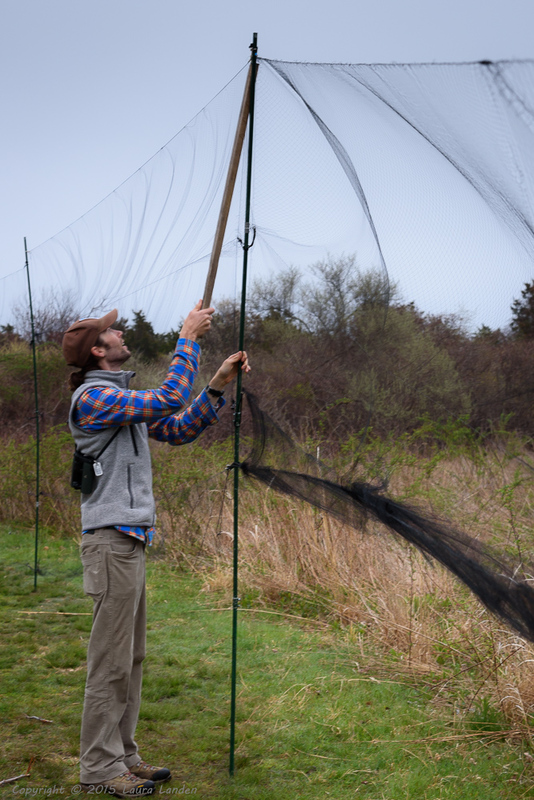 Birds vary in their reaction to being netted. Some take it better than others. The catbirds were all rather calm, but the towhee was definitely not pleased! The chickadee repaid Charlie’s gentle release efforts with a nip on the finger. Little bird, but with a beak made for cracking seeds! Some things were interesting about the data. The catbirds all weighed the same as catbirds netted last fall. 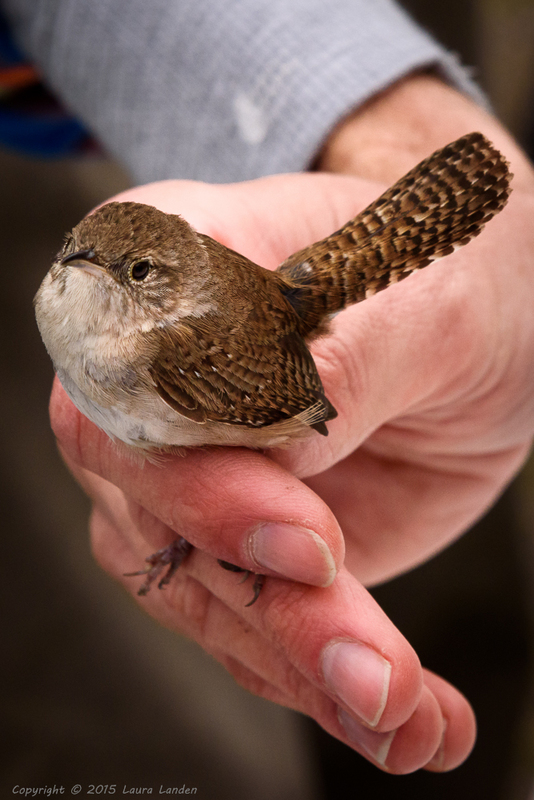 The little chickadee weighed a mere 10 grams, but the apparently larger house wren weighed in two grams lighter. Did you know that the total weight of a bird’s feathers is more than the weight of the skeleton? Having the birds up close and in hand provided great opportunities for photography, as well as for the tactile experience of holding a bird and allowing it to depart from your hand. Because of concern about possible transmission of avian flu from birds to humans, anyone wanting to hold and release a bird had to sign a release form. The eastern towhee provides a good example of what can happen–all too frequently, in my judgment–with naming birds over time. About 20 years ago it was called the rufous-sided towhee, for reasons obvious in the photos. But even earlier it was called the red-eyed towhee, even though the red eye is much harder to observe in the field than the rufous-colored sides. Other interesting–and seemingly odd–bird names are the ring-necked duck, whose has a much more obvious ring about the bill, and the red-bellied woodpecker, which has much more noticeable red on the head. Of course, the name red-headed woodpecker was already spoken for. 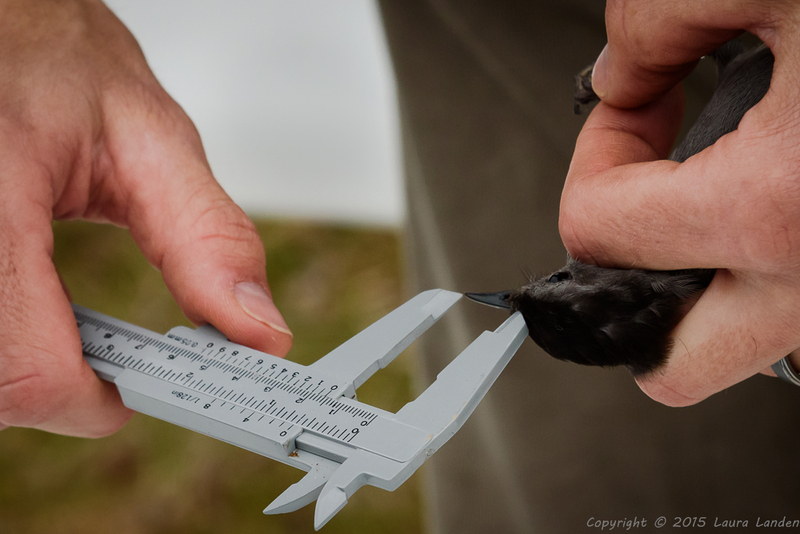 I have witnessed bird banding before. This was typical of songbird capture. Much larger birds, such as hawks and owls, do real damage to nets, so they are usually captured using traps and bait, such as rodents or pigeons. Tiny little hummingbirds, on the other hand, can fly right through the holes in the nets, so finer nets must be used for them. Also, since hummers have such a high heart rate to begin with, the stress of being captured can cause them to have a heart attack. 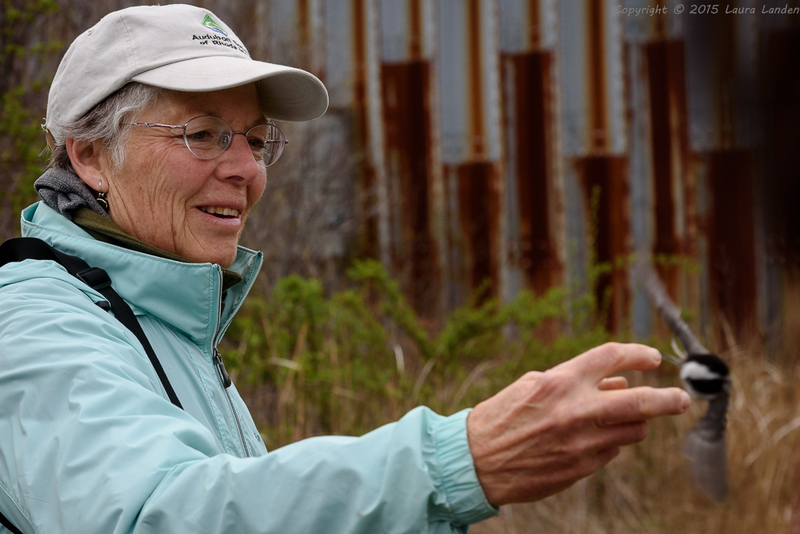 Consequently, a bander must gain additional certification in order to work with hummingbirds. Great pictures and commentary, Laura. Thanks for sharing.